Duval Paving, LLC provides commercial paving services for Jacksonville, Florida businesses. 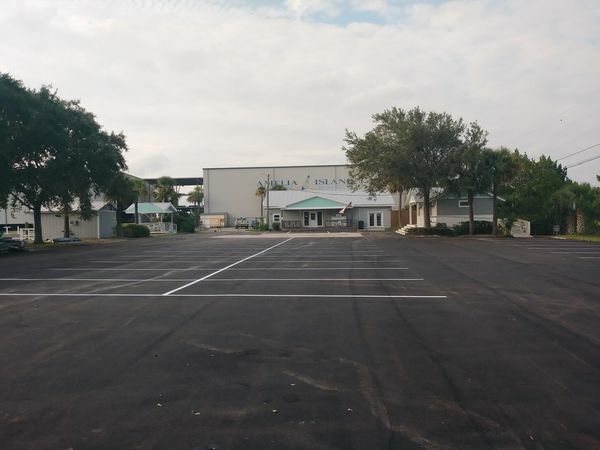 We specialize in Jacksonville parking lot paving, Jacksonville asphalt resurfacing, and preventative maintenance of Jacksonville asphalt surfaces. Duval Paving, LLC has been in the commercial paving business since 2011. Our clients include schools, retail businesses, worship centers, industrial facilities, medical facilities, hotels, and countless other businesses. Make sure your Jacksonville parking area is smooth, with well defined parking spaces, and clear road signage. Duval Paving, LLC has over 8 years of experience providing commercial asphalt solutions for Jacksonville business owners. Call (904) 201-2161 for your Jacksonville, FL commercial paving needs. Make sure that your Jacksonville commercial asphalt surface looks great, is durable, and is safe. From Jacksonville complete resurfacing to Jacksonville asphalt repair, Duval Paving, LLC has a quality commercial asphalt solution for you. Call (904) 201-2161 to learn more about our yearly maintenance contracts for Jacksonville commercial properties. Call Duval Paving, LLC for quality commercial paving services. Duval Paving, LLC offers the highest quality black top in Jacksonville, guaranteed to stand up to heavy traffic. Call (904) 201-2161 to discuss your Jacksonville asphalt surfacing or Jacksonville asphalt maintenance needs. Duval Paving, LLC can schedule your Jacksonville paving work in stages to minimize disruption to employees and customers. Our experienced crew will complete your Jacksonville, Florida paving job professionally and on time.